After having my first son, I struggled with nursing and maintaining a milk supply. After 3 months of nursing, my supply dropped tremendously. I became stressed out about the whole situation and gave up on breastfeeding all together after 5 months. Recently, I gave birth to my second son. I was worried about my supply dropping again. 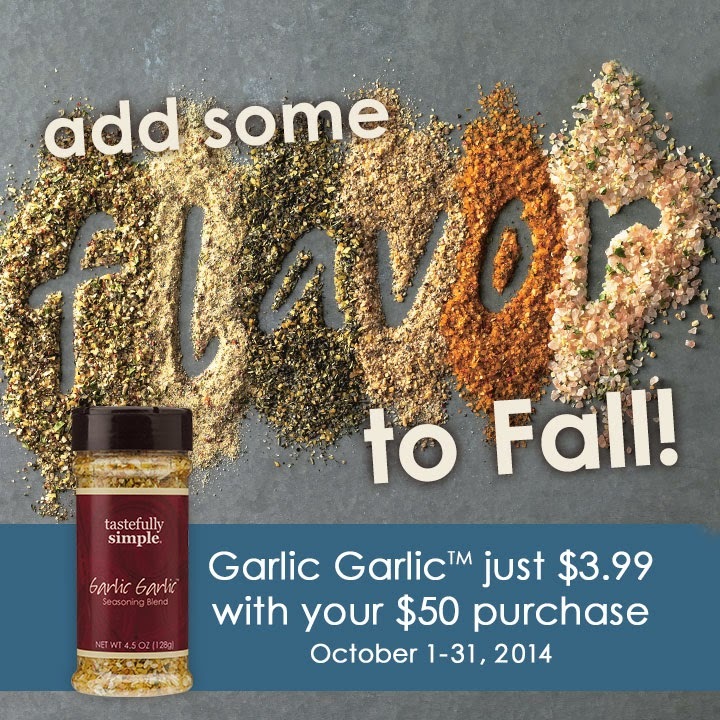 Soon after, Mrs.Patel's contacted me about their products. I am now confident in maintaining a good milk supply thanks to Mrs.Patel's. Mrs. Patel's are products made for nursing mothers, mother who have recently given birth, those experiencing difficulties with their milk supply and wanting to maintain their supply. Mrs.Patel's offers three delicious products: Fenugreek Bars, Milk Water Tea and Munch Crunch. They are based on the tenets of Ayurveda (a system of traditional medicine native to India) they have been used by nursing mother in India for thousands of years. 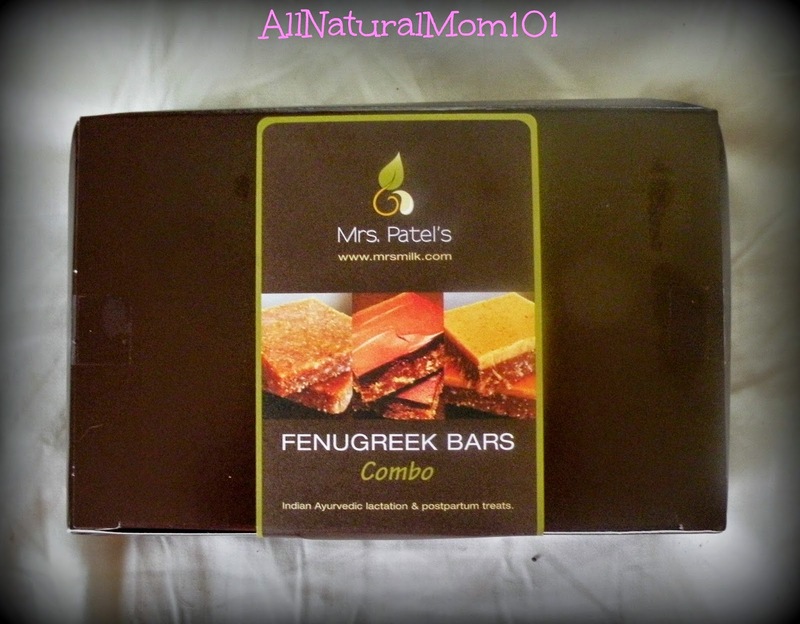 Mrs.Patel's sent me a box of their Fenugreek Bars to review. I was able to try out the combo box that contains all three flavors Mrs.Patel's offers, which are regular, chocolate and peanut butter. They also have a Gluten-Free and Vegan version. 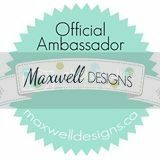 These hand made bars are made with pure fenugreek flour, white poppy seeds that will help you lactate, Ghee and coconut that enhance the quality of your breastmilk, peepmarul and powdered gum, that enhance postpartum healing. I have a hard time taking and swallowing any kind of pills, so I was happy that these Fenugreek bars were introduced to me! No more worrying about swallowing Fenugreek Pills. The bars almost look like a granola bar, they taste pretty good too. All three flavors are yummy, but my personal favorite has to be chocolate! You take one-two bars per day. I noticed an increment by day 6 of taking them. You can store them in the cabinets or the refrigerator. I found that they taste even better when they are cold. 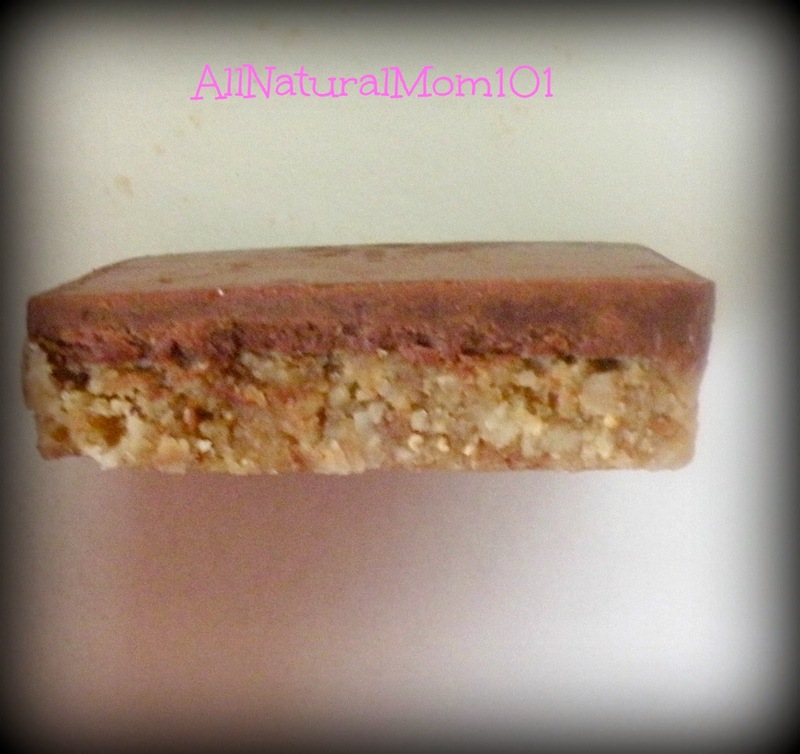 I Recommend Mrs. Patel's Fenugreek Bars to any nursing mommy! 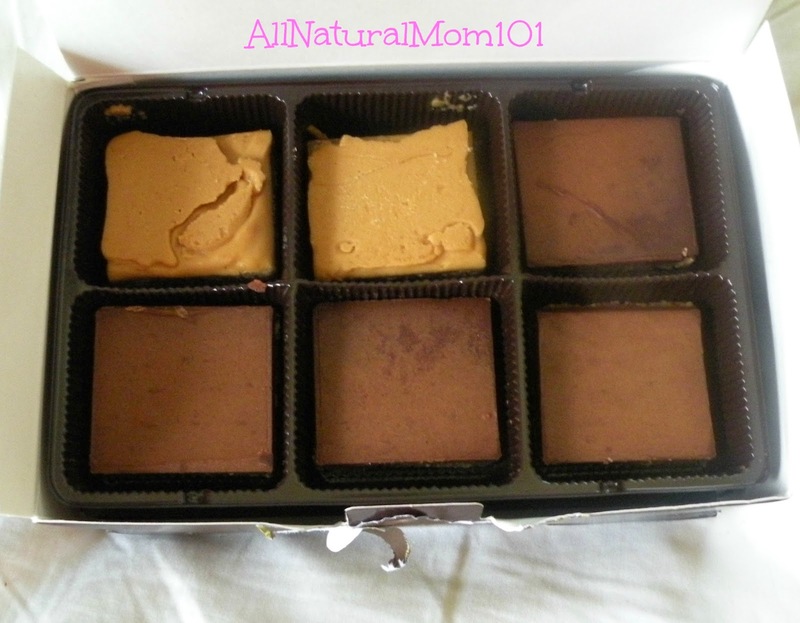 Want to try these yummy bars and increase your milk supply? 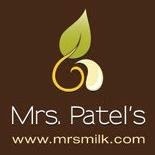 Mrs.Patel's offers Mamas 20% off their first order from the website. Use Code "FIRSTORDER" at the checkout. They also have a loyalty program for regular customers where you get 15% off all your orders after your 3rd order. Disclaimer: I was given the products in this post for the purpose of my honest review. I was not paid in any way to write this review. Review is Sponsored by Mrs. Patel's Milk Makers. 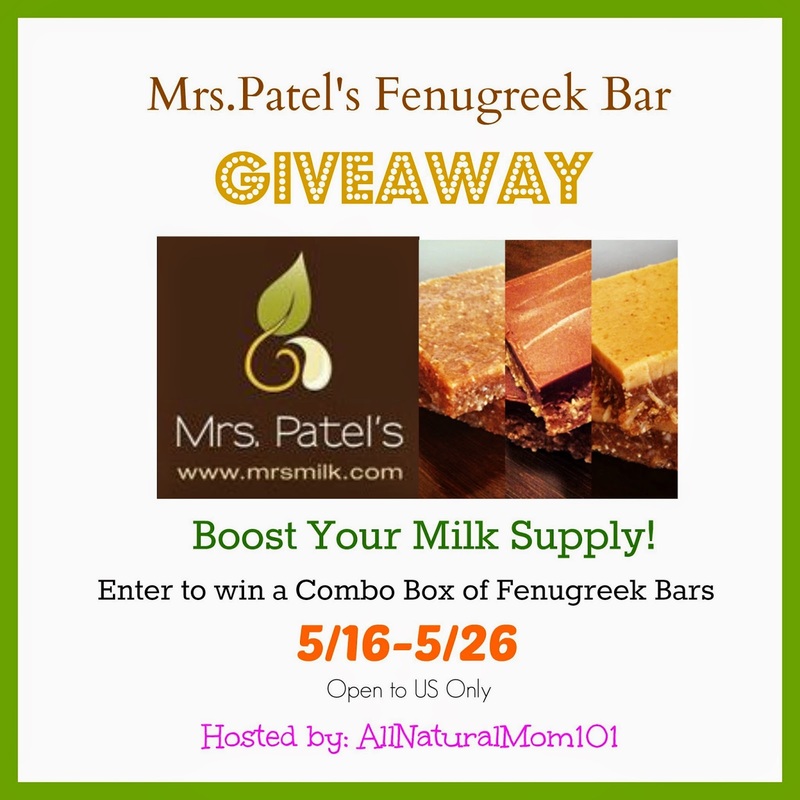 Welcome to Mrs.Patel's Fenugreek Bars Giveaway sponsored by Mrs.Patel's and hosted by All Natural Mom 101. 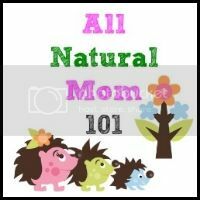 One lucky reader of AllNaturalMom101 will win one (1) Combo Box of 12 Fenugreek Bars to help boost milk supply for breastfeeding. The box contains all 3 of Mrs.Patel's flavors: Peanut butter, Chocolate and Original. The Giveaway Starts May 16th-May 26th. Open to US residents only. Would love to try these bars out! 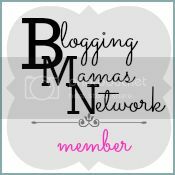 Been a mom & breastfeeding my first LO for 15 months and going! I absolutely love these bars! Been a mama for almost 6 years - first baby was formula fed- breastfeeding #2 going on 5 months :) I would loooove to try these. I've been wanting to try these. Hoping they won't cause problems. I would LOVE to try these. New mom of a 6 month old, been breastfeeding the entire time while going to college and working. Its a struggle to keep my supply up! I am a new mom to a 5 month old little girl. We have been breastfeeding since day 1 and have NO plans of stopping! It would be great to try these bars to help keep my supply up. They look tasty! I have a question. Is the box pictured above the same size you will receive when you purchase from the site? I guess I'm asking about how many bars came in your order.